Float Glass Design are one of the leading designers and producers of Creative Architectural Glass. All our glass is handmade in our Brighton Glass Studio and made to measure to your specific requirements. 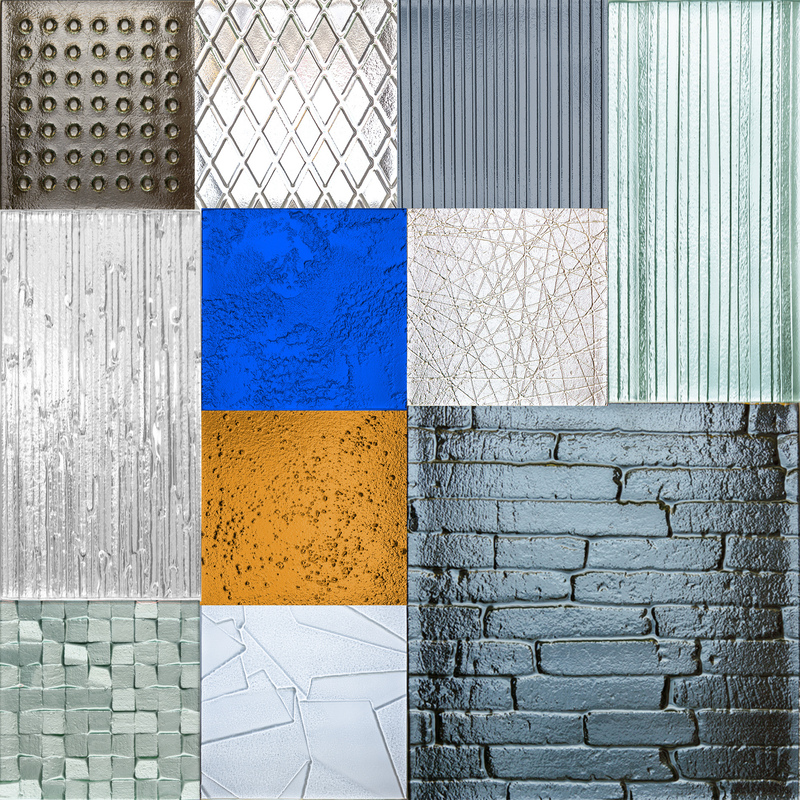 View our Designer Ranges of Textured Glass, Coloured Glass and Glass Cladding to find the best glass for your project. Looking for something unique ? Check out our bespoke processes to see how we can create an original glass feature just for you. View our portfolio of creative architectural glass for a diverse range of projects from feature walls to glass cladding for building facades. Find out how to order your glass, request samples and get information about lead times and delivery. Explore our Product Specifier to select the best glass for your project . Here you can choose your glass type, texture, tint, colour and finish from over 1000 glass samples. You can request a sample and download technical information for your project. We look forward to working with you. Textured glass offers exciting possibilities as a design element in a wide range of architectural applications. It has the unique ability to perform as a decorative feature as well as a functional and structural building material. We are delighted to introduce Spectrum, our exclusive new range of coloured glass. The Spectrum range is fully compatible with our renowned textured glass products. We are a working glass studio so if you would like to come and see us please contact us to arrange a visit. Tell us what you want and we’ll give you a call back. Benefit from our experience to get the best result for your project. Ask us a question or talk to us about your needs. We are happy to provide samples to professionals. Any info about your project?